Major exhibition of the work of photographer / artist Bill Jackson showing works from his new series North Sea Drawings and Periscope. 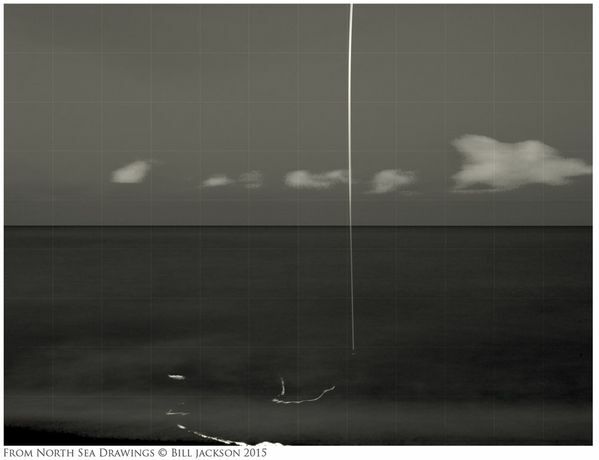 These large scale photographs explore ideas in drawing, mapping, mark making and measurement and were produced at night along the East Anglian coast line. Other works include a selection from his Cabinet Of Curiosities launched at the London Art Fair in 2012 as part of the Art Projects, curated by Bridget Coaker of Troika Editions London.